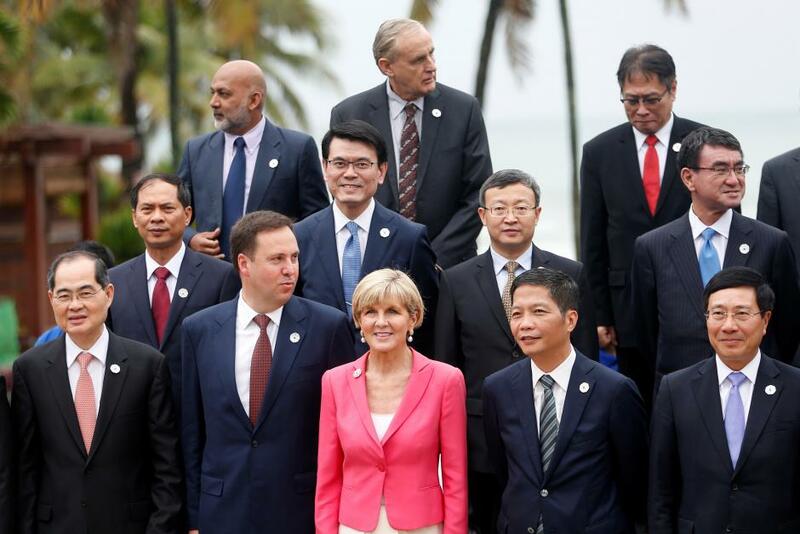 Ministers from the 21 Asia-Pacific Economic Cooperation (APEC) member economies have issued a joint statement following the APEC Ministerial Meeting in Da Nang on Wednesday. The meeting was co-chaired by Vietnamese Deputy Prime Minister and Minister of Foreign Affairs Pham Binh Minh, and Minister of Industry and Trade Tran Tuan Anh. The Joint Ministerial Statement sets out a goal to sustain the momentum of regional cooperation and reinforce the profile of APEC as a driver of economic growth and integration in the Asia-Pacific. Such a goal is achieved through collaborative actions to be implemented by APEC economies over the next year, including deepening regional economic integration, promoting sustainable, innovative and inclusive growth, strengthening micro, small and medium enterprises’ competitiveness and innovation, as well as enhancing food security and sustainable agriculture in response to climate change. “We welcome the discussion at the Multi-Stakeholders Dialogue on APEC Toward 2020 and Beyond and welcome the endorsement of the initiative on APEC Toward 2020 and Beyond, including the establishment of an APEC Vision Group,” the statement read. The ministers also look forward to Papua New Guinea's hosting of APEC 2018. The conclusion of the APEC Ministerial Meeting sets the stage for the APEC Economic Leaders’ Meeting on Saturday in Da Nang. Established in 1989, APEC is a regional economic forum comprised of 21 Pacific Rim member economies that work to promote free trade in the region. Vietnam’s central city of Da Nang takes over the baton this year to host the summit, which is a culmination of the country’s year-long hosting of APEC meetings. Click here to view the full text of the 2017 APEC Joint Ministerial Statement and Annexes.